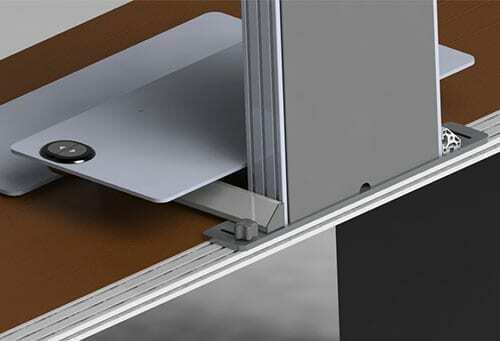 The 3520 under-table monitor mount securely holds the monitor to the underside of the table. Save workspace by stowing the monitor and monitor arm away when not in use. 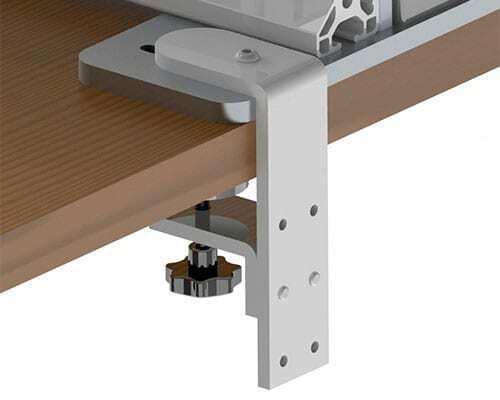 No need for table-top kiosks and touch-screens to occupy valuable table space - our floating 3520 monitor arm mounts to the underside of the table. Users can quickly move the monitor to a comfortable viewing height and angle, and then stow the monitor arm away when not in use. This height-adjustable monitor mount accommodates users of various sizes. 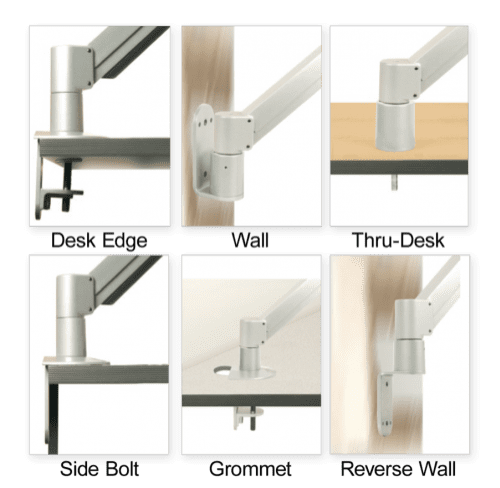 Monitor arm mounts from the underside of a table or counter. Offers users intuitive, effortless monitor movement. Monitor mount folds back on itself to store out of the way when not in use. The height-adjustable mount has a vertical adjustment range of 8.3" and extends up to 9". 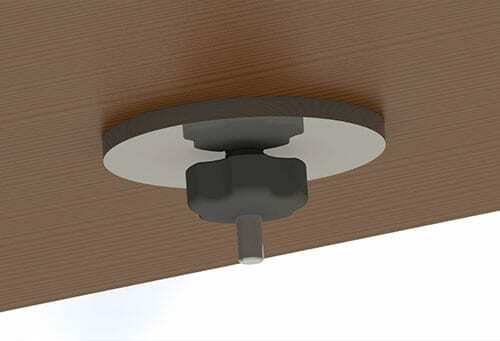 Easily tuck the mount out of the way when not in use. Tilt the flat panel monitor up to 200 degrees. Flexible monitor arm rotates 360 degrees at two joints. Monitor mount includes a cable management system that keeps cables out of view. 3520-350Mount supports monitors 8 - 15 lbs.